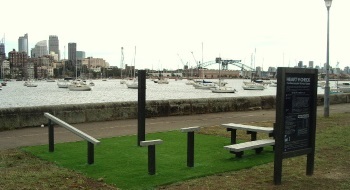 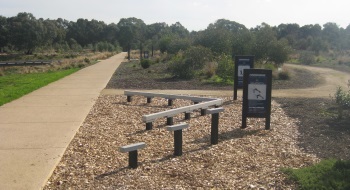 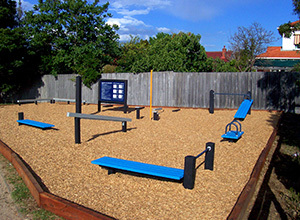 Fitness circuit is ideal for use along a walking or running path. 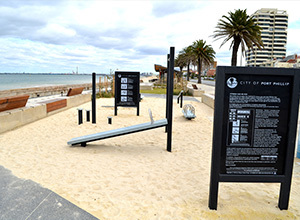 The 9, 12 or 18 station circuits use a combination of 14 unique recycled-plastic pieces of exercise equipment with instructional signs at each stop. 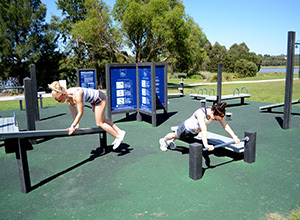 Workouts combine running, jogging or walking between the exercise stations to provide a complete fitness training workout.